Regarded as the most influential and best known architect of the 20th century, Le Corbusier created a range of Grand Comfort Lounge Chairs (LC3) including chair, loveseat and sofa, which expressed his ideals with great sophistication. The Le Corbusier Chair is a contemporary, high quality reproduction of the original design by Le Corbusier for the 1929 Salon d'Automne, that offers classy, elegant, modern styling for the home or office and other commercial areas. 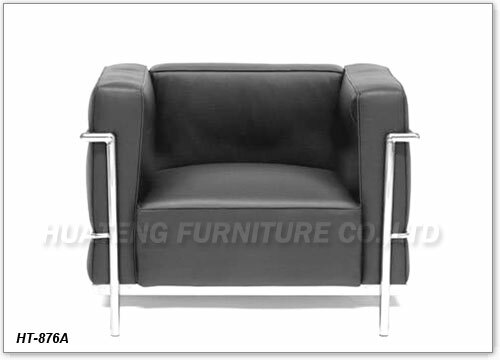 Material: made from high quality PU or leather with soft cushions and solid polished steel tubular construction, high density foam inner to ensure the long-term comfort and support.